Maxis Fiber Router Replacement to support VOIP. 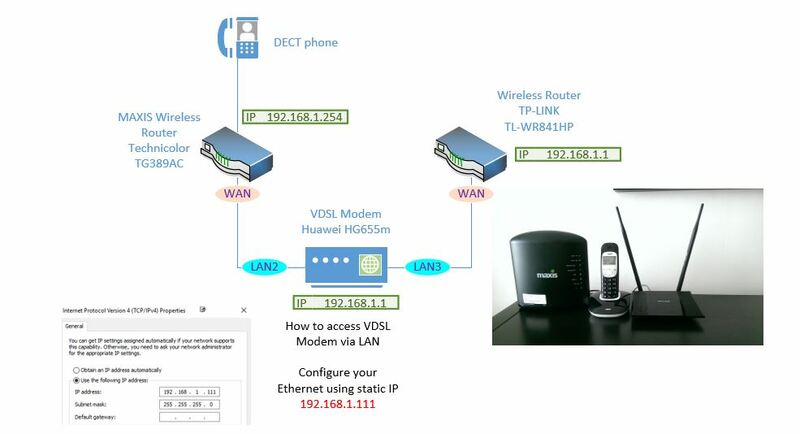 This is very interesting topic to discuss, how to replace the maxis router with your own router to support the VOIP. Maxis fiber come with default router Technicolor TG389AC which for me is not that good for wireless signal especially for Condo type of house. If you dont like this setup, you can buy DLINK DSL-G2452DG which is around RM300 come with VOIP support. Under Basic > WAN and look for ptm1.621 – Maxis use 621 for Internet and 821 for VOIP. Then save & Enjoy. Now you are able to use internet via own router. 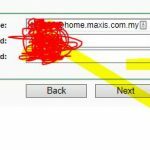 Please swiff off your Maxis Router Wireless if you dont want to use. ni awak buat sendiri ke? awak memang guna maxis fibre? Awak pakai package speed berapa? Is TP-LINK TL-WR841HP good enough for Maxis Fibre 10mbps or should I get TP-LINK TL-WR941HP? Wifi is a bit issue in my double-storey house but I do use Powerline plug upstairs to extend my wifi. Firstly please double check your Modem its this model VDSL Model Huawei HG655m, because most of new house they changes to new model, its no longer having the GUI. Do u have guide for above ? TP-Link TL-WR841HP V3 I notice there is no Tel port behind the router like D-Link DSL-G2452DG. 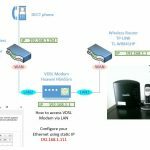 Is it possible to make VOIP connection on one of the LAN port. My modem is Huawei HG850a. My thompson router has got two tel port behind to connect the DECT provided by maxis. Please advice. firstly what you try to do over here, its you want to replace the default Maxis router? saya guna TPLink TL-WR841HP 1st model, and saya pakai astro iptv..
dh buat connection astro sume ok, tapi on demand je xboleh bukak.. I find it hard to access http in HG850a. It seems there is a blockage by telco. How do i gain access into this modem. bro, good information. however what about if i’m using Alcatel Lucent i240g-t instead of Huawei VDSL. any idea? i bought the dlink router, and still the VOIP phone doesn’t work, it just comes up with the “tu tu tu” tone. Bloody irritating and Maxis isn’t answering nor helping! sigh. Will this work if I’m using the huawei hg8240h instead of the hg655m?